A couple of weeks ago I had the opportunity to host a huge baby shower for one of my absolute best friends and fellow wedding professional. With so much of their family local, my sweet friend decided to have just one large shower including all their family and friends. After picking her brain for weeks on our morning walks at the local park, I knew that I wanted to make it as beautiful and special as possible for her all while channeling the inspiration she had for the baby’s nursery. Since she is a wedding photographer, I know just how much photographs mean to her for capturing life’s precious memories. I wanted to create a beautiful photo backdrop for her to be able to capture memories with her family and friends throughout the afternoon. 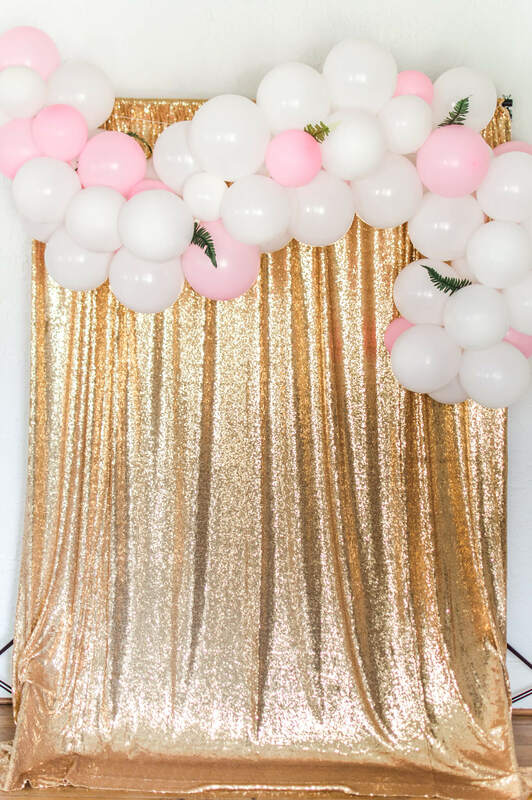 The gold sequin backdrop was a no-brainer when it came to celebrating this sassy mama-to-be, and adding a white and soft pink balloon garland gave it the sweet, whimsical touch that I was inspired by with the baby’s nursery. The best part was that it was super easy to make! 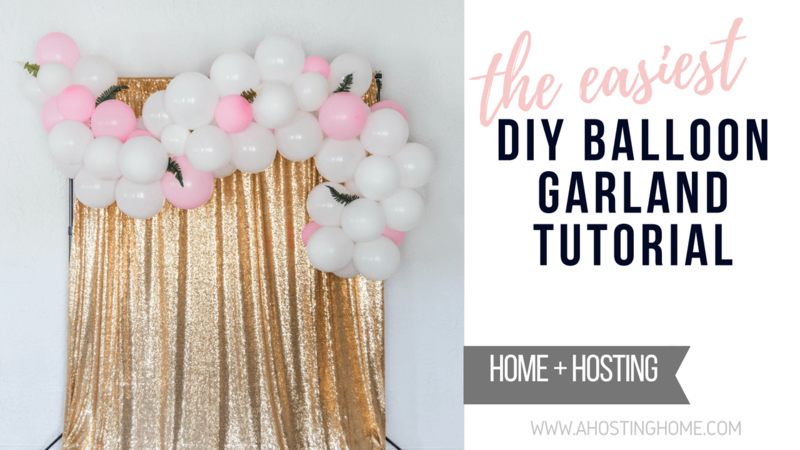 Today on the blog, I can’t wait to share with you the easiest DIY Balloon Garland Tutorial that you’ll be dying to try at your next party or shower. Should I mention that I got everything for this balloon garland from Dollar Tree (small town life, y’all!) for less than $10? It is seriously such an inexpensive way to add some fun into your party’s decor. Balloon Pump – Save your breath, girlfriend! 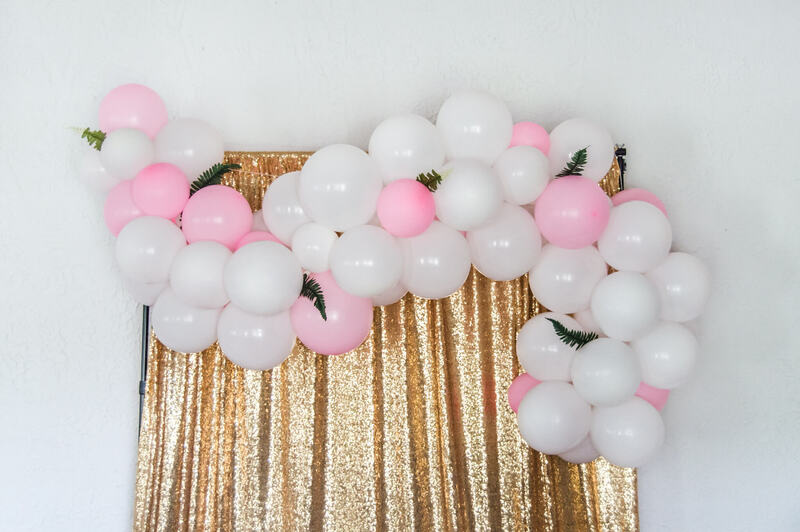 Balloons – I used about 65 balloons for this garland, and I blew them up to varying sizes. Faux Greenery + Floral Stems – I ended up using only the faux greenery stems. 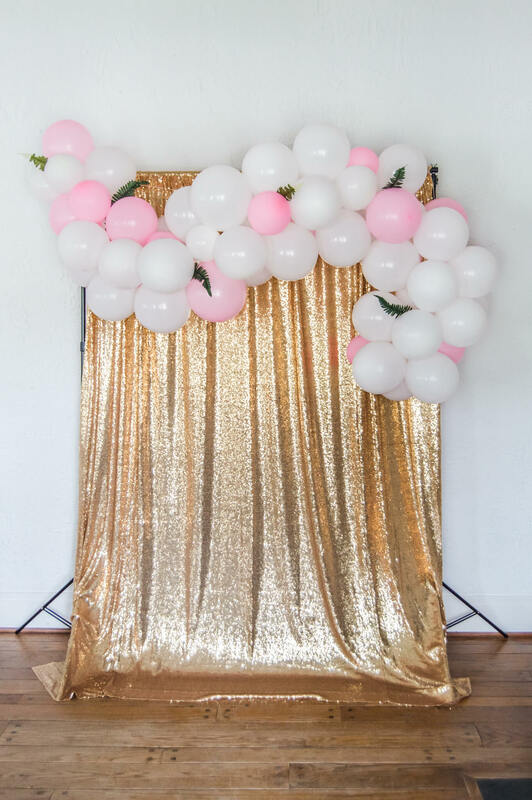 The first step to this DIY Balloon Garland is to figure out how large you want it. I simply took my twine and just measured how large I wanted it on the wall in my dining room. Make sure to add a few feet to this measurement so you have some extra length as the balloons start to fill it up. You can always cut off the tail at the end after you hang it up! This is where having the plastic balloon pump was a game changer. It was so easy to blow up the balloons while I watched some late night television with a cup of hot tea. 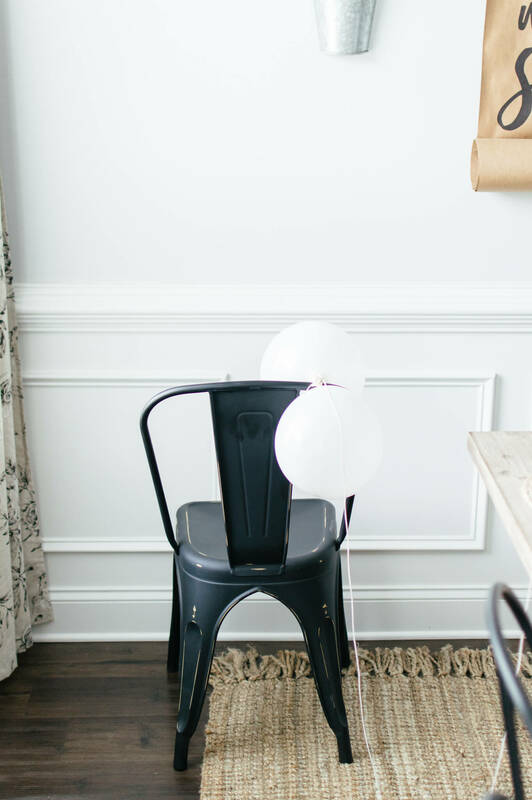 After measuring that long piece of twine, I attached one of the ends to one of my dining room chairs to keep it still as well as to make sure the balloons are pushed to the end and packed in tightly. After blowing up each balloon, I took a small (new!) piece of twine and tied it around the balloon’s knot. You will then take this twine attached to the balloon and tie it onto your long, main piece of twine. 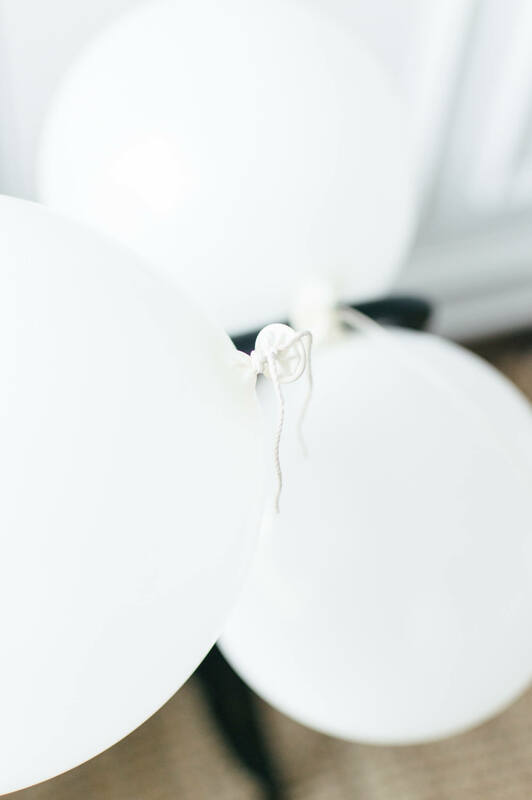 Once attached, push the balloon all the way to the end to make sure the balloons are packed in tightly and there are no gaps. As you start attaching more balloons, you’ll see it start to take shape! Tip: Make sure to double knot on each tie so it stays secure! After attaching all the balloons that I needed to achieve the garland length I wanted, I tied off the ends and hung it up on the wall. I then adjusted it as I saw fit by moving around some balloons to minimize gaps so you couldn’t see the twine running through the center. I even blew some some additional smaller balloons to put in throughout to fill in any gaps, give it some more volume, and add some dimension. Just do whatever you’re feeling when you step back to take a peek! After securing the garland on the backdrop stand with the tail of the twine, I added in the faux greenery stems by simply taking off the leaves and placing them gently in between balloons (and hoping they don’t fall!) I ended up not using the floral stems because I was worried about the metal wire popping the balloons – so be careful about that! I found it was best to just use the greenery leaves. 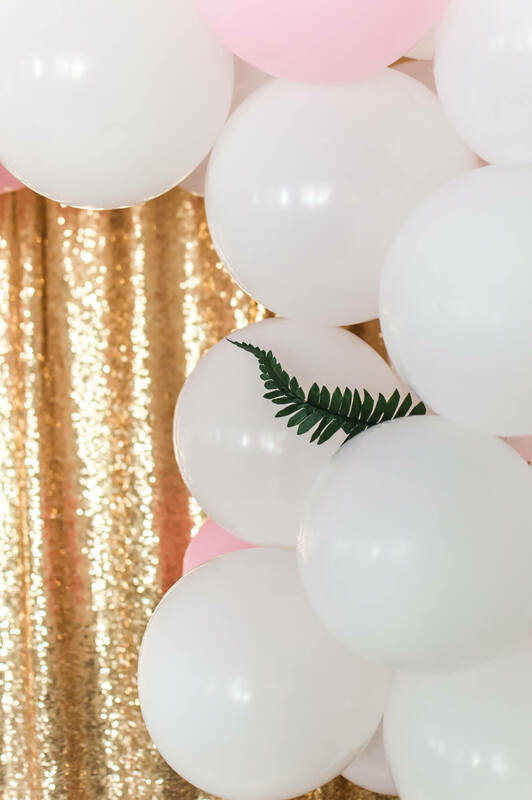 When you take a step back and fall in love with your DIY Balloon Garland, you are officially ready to party and capture memories! 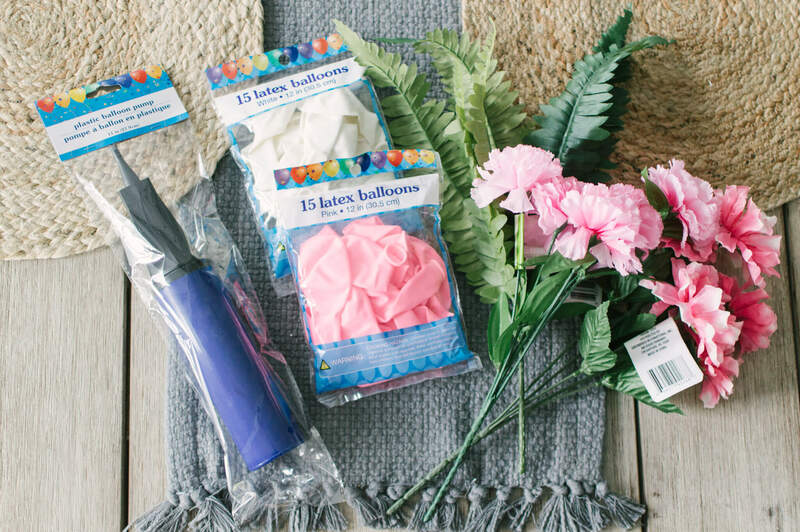 I hope you enjoyed this super easy DIY Balloon Garland tutorial! 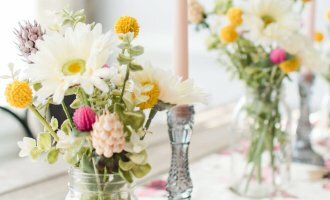 With less than $10 in supplies and an hour of multitasking while watching television, this DIY is seriously the easiest way to add a darling and whimsical touch into your next party or shower’s decor. 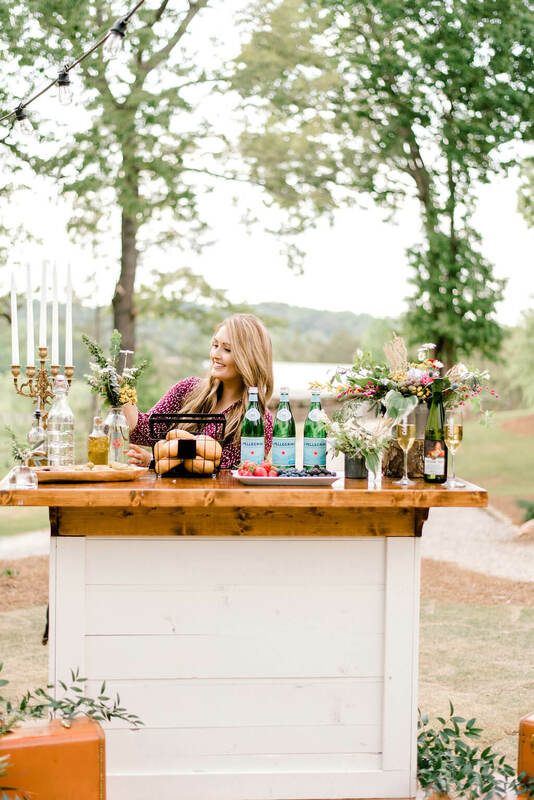 Are you dying to try it out for your next event? Let me know how yours turns out in the comments below! What a great and Beautiful idea! Wow! what a savings compared to having someone else do it. my niece was married and they charged her a $150.00 for something very similar. From now on I will tell others about this idea and save their pennies for something else! thanks for sharing! 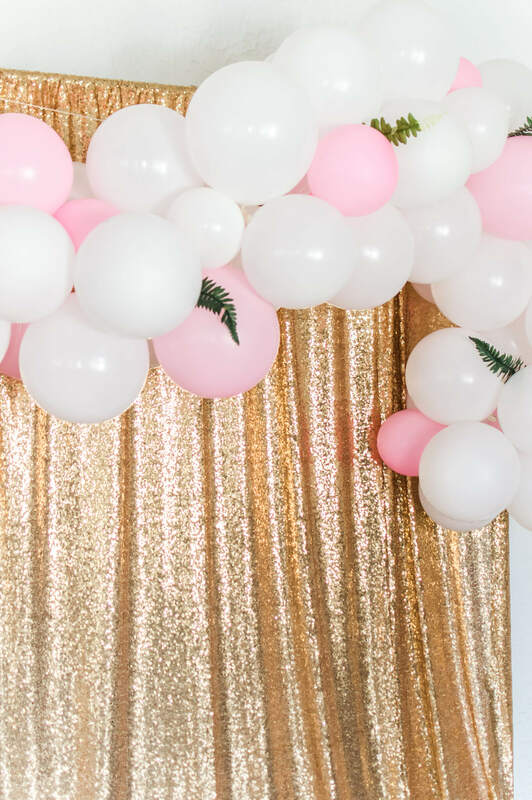 Who knew it was so simple to do balloon garlands? you can bet i’ll be making my own garlands now! I love how you went above and beyond to make this such a special day for your friend. And what a fun, beautiful idea to capture the day with this garland! Love it! I recently tried to make one of these and it did not turn out this pretty! hah good job mama! I love this Cathy! You always host the best parties. I’m sure your friend really enjoyed this backdrop. 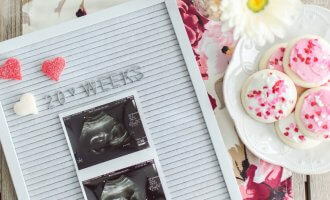 Where was this tutorial when I was planning my sister’s baby shower?! so cute and seems very easy to do, hopefully i get the chance to put this tutorial to use in the future. Wow! I never would have thought this was so easy! What a great idea for showers and parties! I Love balloon garland! Love how you added the flowers. Soooooo weird!! 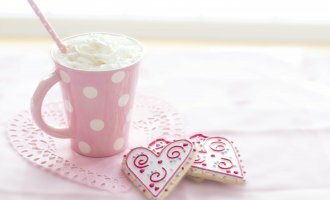 I just pinned this to a board for my birthday before I even stumbled upon this blog post! It’s meant to be! This is such a great idea for a party! I might need to try this for our next one! So cute! 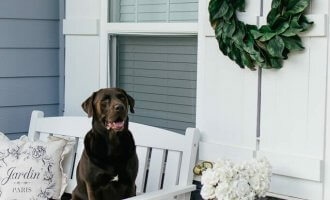 What did you use to hold the curtain and garland? Thanks, Haleigh! I used a photobooth backdrop stand to hold the curtain and I used the ends of the twine to hang the garland. 🙂 I hope that helps! I was curious how long this garland would last and how many days in advance could you do this?